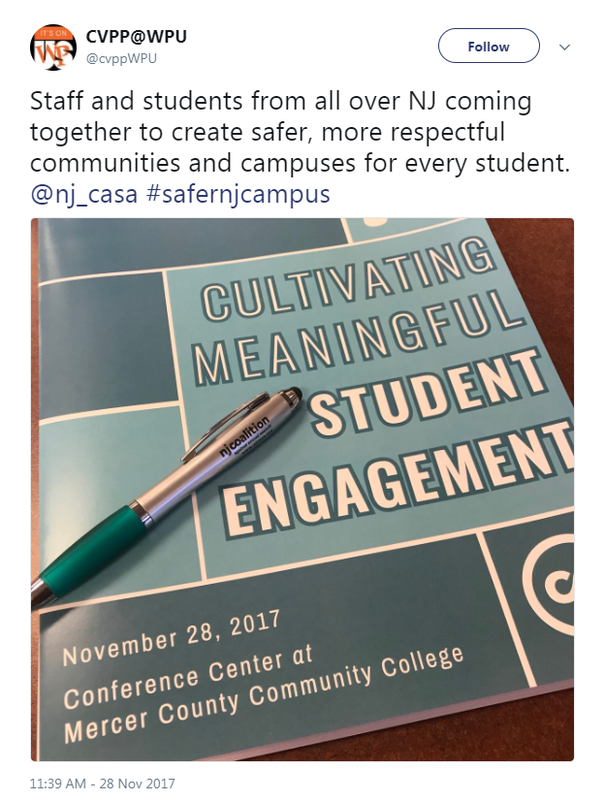 In our partnerships with institutions of higher learning, state-level stakeholders, and community organizations, NJCASA has been inspired and heartened by the work of student activists. 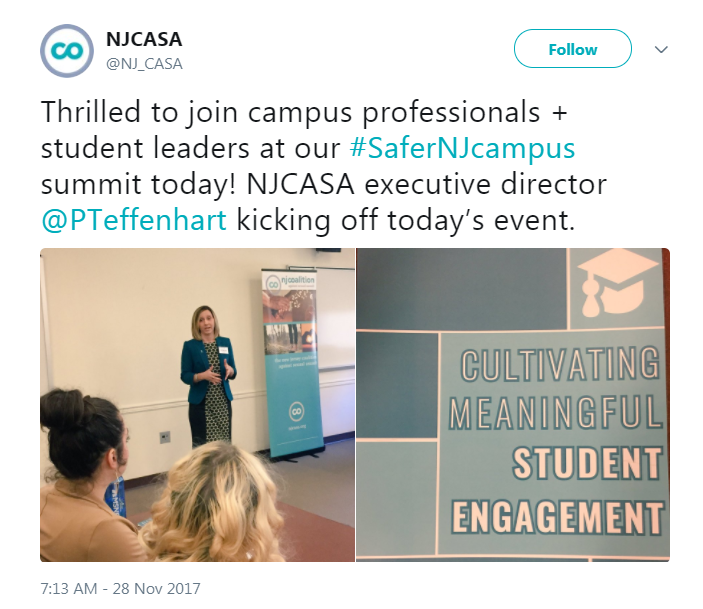 Their voices are reflected in the Task Force on Campus Sexual Assault’s report and inspired NJCASA to organize a full-day summit to support their activism and explore opportunities to strengthen prevention efforts. On November 28, we joined with 27 campus professionals and student leaders, representing ten institutions of higher learning from across the state at our campus summit, “Cultivating Meaningful Student Engagement.” The day consisted of four breakout sessions – two for each group of attendees – designed to offer fresh perspectives on prevention and dedicated spaces for networking. Breakout sessions focused on ways we can expand our prevention work – both using social media as a way to magnify impact and exploring effective prevention messaging principles as a guide for productive conversations with campus communities. NJCASA is so encouraged and inspired by attendees – student leaders brought creative and passionate questions challenging us to think big and get outside of our comfort zones. Campus professionals were excited to experiment with messaging and social media platforms as strategies to elevate their already-amazing programming. Thank you to everyone who could be there with us and to everyone working to create safer campus communities for all!